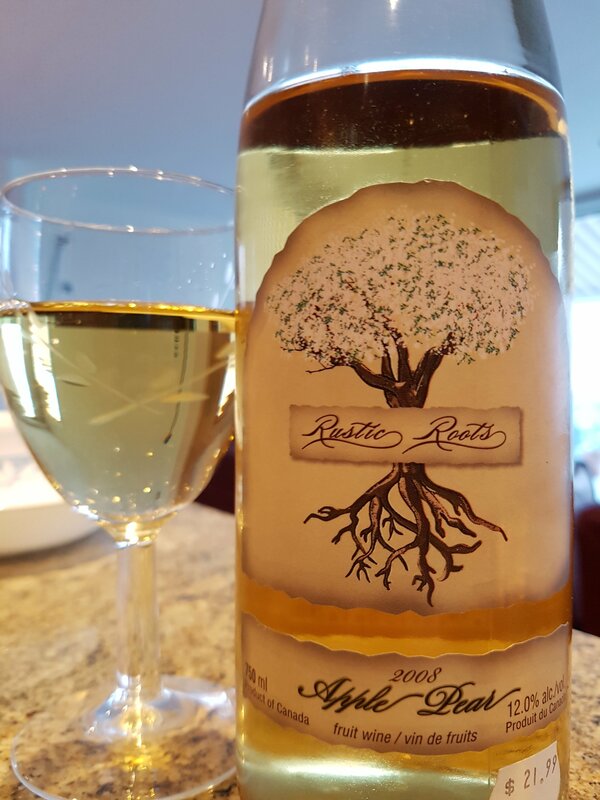 Apple Pear Wine 2008 – Rustic Roots Winery (Cawston, BC, Canada) | Justintoxicated. Visual: (cellared for 9 years). Pours clear light golden yellow, pristine clarity. Finish: hints of cinnamon/nutmeg spice, perfumey pear-red apple exhale, off-dry palate, pineapple notes. Summary: It has the advertised flavours, solid quality and composition. The fruitiness helps offset the dryness and together they create an appetizing and sippable combo. All around clean, medium body, good complexity and transitions.